Urgent and price dropped :) Brand new home with all the mod cons. Share Bathroom with one other. Massive wardrobe. Right near Cockburn central and Coogee beach. We have Internet, Netflix, fetch etc in the main lounge room. We would love a male/female, student, full time worker or FIFO to join us. Rent price negotiable for fifo. We just want nice people that’s all :) Having a few issues with photos to just text or come round and see for yourself. This is a great location on a bus route, close to the Cockburn Central train station, the Gateways Shopping Centre, the Cockburn ARC and great restaurants. We are looking for an easy-going female to share our home; you will obviously have your own room (bed not supplied, wardrobe included in room). The house is air conditioned in common areas, along with being fully furnished (including kitchen utensils and crockery); we also share a bathroom. AVAILABLE MARCH 30TH, your rent will include all utilities with lawn and garden maintenance (electricity / gas / water / lawns &amp; gardening). Shared internet (NBN) is also available for a minimal extra cost. There is ample parking available for your car – Please, no smokers - definitely no drugs. Text/email inquires only please. The complex is extremely safe and friendly. 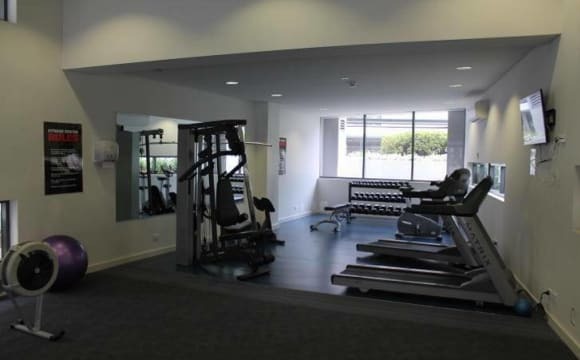 Comes with a pool and gym which is a nice little perk. Only a few minutes to the shopping centre and the new cockburn arc. It is on a large amount of land, 900 square meters. there is a pool (currently needing maintenance for winter though) a fully equipped wood workshop, garden beds. 5 minute walk to IGA, chemist and bottle shop. 3 houses down form bus stop. quiet area with mainly seniors nearby. 10 minutes to Cockburn and Kardinya shops, IGA and bottlo 2 mins away. Close to train stations, hospitals. 15 minute drive to city or Fremantle. Big backyard and outdoor area, big shed for storage. I’ve got unlimited wifi and Netflix! I am looking for a neat, polite and happy person who is a professional, student or a FIFO worker and is a NON SMOKER between 21-50 years old. This person would be a dog lover who enjoys a drink and chat and is respectful of others belongings and space. The rent will include- An unfurnished bedroom which is large enough to fit a queen bed with a built in wardrobe, ceiling fan and TV outlet point you will also have your own private bathroom. (except when we have guests.) Your own parking space in the drive way. All internet and bills are included. The house is located only a 12mins drive from Murdoch Train Station, university shops and to the freeway. The house on a generous size block with an outdoor entertaining area equipped with a BBQ and deck which is great for entertaining, there is also a garage for some extra storage space. COST $185 a week includes all bills and wireless internet Bond is required Extra charge applies for Garage storage If the description above sound like you Please text Chrissie. This is a new listing double storey modern house. Sorry i do not have a picture yet but free to contact me or google map. 3 bedroom, 1 bathroom but TWO TOILETS :) A nice backyard with a lemon tree and an entertainment area. 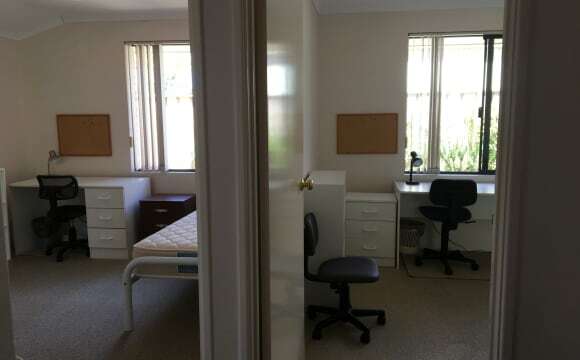 Sharehouse next to Murdoch University off Murdoh Drive close to Murdoch Train station and shops and bus stop. The available room is located privately at the back of the house with own bathroom and toilet. The room can be furnished if required, has a fan and reverse cycle aircon. Very close to public transport. 200 for a single person or 300 for couples. * Room 1 &amp; 2 - $140. * Room 3 - $150. * Room 4 - $160. * Room 5 - $170. * Room 6 - $220. 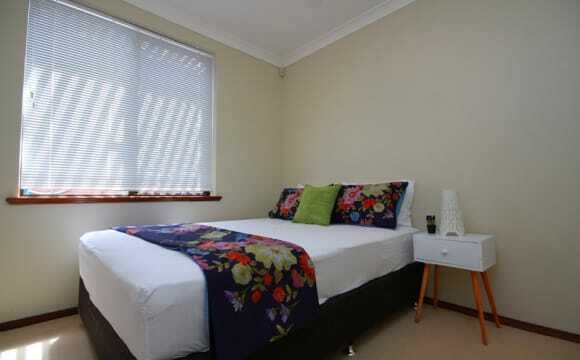 These bedrooms are well furnished and are ideal for student, single person and FIFO worker. Close to Curtin and Murdoch University, Shopping Area, Cafes, Restaurants, Medical and Dental Surgery and Public Transport. 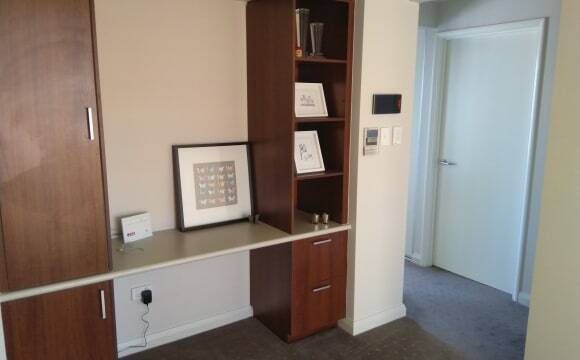 Common areas are well furnished with great kitchen appliances and lots of cupboard space. Rent INCLUDES... * WIFI. * Water. * Gas. * Electricity. No Pet Allowed. No Smoking. Contact Peter Lim for inspection. 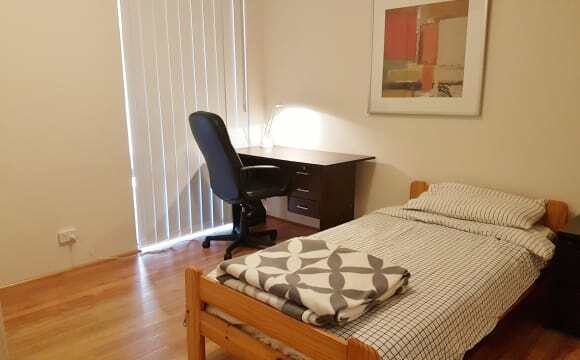 Located in a handy location, very close to bus stop in South st ( a couple minute walk) will take you anywhere in Perth, Fioana Stanley and St John of God hospitals including Uni ( 1 ride to Curtin, Murdoch etc). 15 minute walk to major shopping center (Southlands) and all restaurants. You have 2 choices to choose all at the same price. A shower with bath, 2 toilets and a vanity all separate to allow 4 people using at the same time. 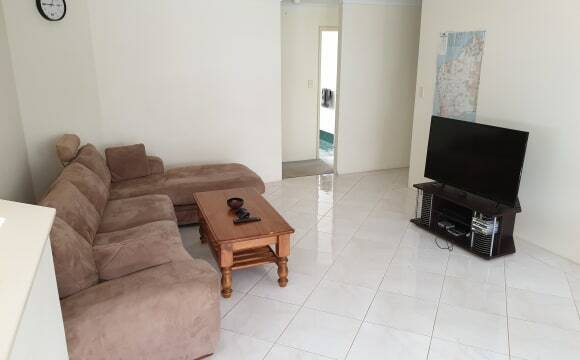 Newly fresh renovated property with UNLIMITED SUPER FAST NBN BROADBAND internet. A private fully furnished room with new laminate floor, just bring your linen and cooking stuffs. A shower with bath, 2 toilets and a vanity all separate to allow 4 people using at the same time. Close to public transport, shopping center, restaurant etc. very handy for Murdoch uni students or FSH/StJoG employees. Very clean and big house, viewing will impress. Always in clean condition, very close to public transport. Very convenient for Murdoch Students, Fiona Stanley Hospital or St John of God Hospital employees or professionals. We have 3 single rooms ($160/week). All bills and NBN internet connection included. All bedrooms are fully furnished ( you can also bring your own furniture ). All you need to bring your own linen,pillows and kitchen ware. Stress free environment, fruit trees in the yard (2x mango, lemon, orange, fig and mandarin) and nearly everything is within walking distance, CCTV system and a doggo so the place is pretty safe and good neighbors. Applicants please have an active listing and references. 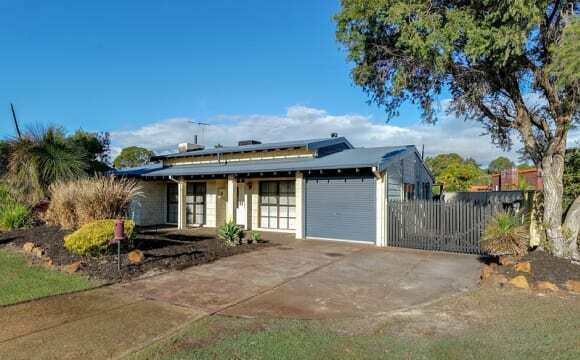 This house is located in a convenient and quiet area in ​​Canning Vale, walk minetus to the bus stop on Ranford Road, close to Livingston Shopping Centre, a clean and tidy house, kitchen are fully equipped , comfortable TV area, laundry has a new washing machine, spacious backyard area, friendly roommates. Looking for quiet and clean people.